AB Computer Repair is your Thousand Oaks IT support specialist servicing Thousand Oaks, Newbury Park, Westlake Village and surrounding areas. Our laptops often contain a lot of sensitive data for work and personal use, and for most people, the thought of losing all that information is more than a little frightening. The sudden, unexpected loss (or worse, theft) of expensive equipment and delicate documents doesn’t have to be a paralyzing experience, however. Here are some quick tips outlining steps you should take should your laptop become lost. We’ve also added a few handy precautionary measures you can take beforehand, so your laptop has a better chance of making it home safe if the two of you become separated. While it may seem obvious, many people don’t bother to file police reports on lost property under the assumption that there’s little law enforcement can do. While this may or may not be the case (depending on your situation), contacting the police gets the word out that your laptop is missing. Even if the police can’t find your missing MacBook, stolen computer hardware is entered into a national database, so if someone tries to sell your laptop, there’s a good chance it will raise a red flag when they do, even if they’re across the country. If you live near a university, be sure and tell the campus police about your missing laptop as well, and don’t forget about alerting any private security in the area where you were working when the laptop disappeared. Tell any pawn or repair shops in your area about your missing computer. Be sure and give them serial numbers and describe any identifiable features, such as scratches in the case or worn paint. Most reputable pawn or repair shops will check with the local police department before purchasing used laptops, but it never hurts to make them aware of your plight, either. Many insurance policies for homeowners and some renters will cover stolen computer hardware, even if the item wasn’t taken from your residence. If your laptop was stolen out of your vehicle, its loss could be covered by your automobile insurance. If your laptop is company property, it is most definitely going to be covered by your company’s insurance policy. Get in touch with your insurance agent and inquire about filing a claim so that you can recover some of the cost of replacing your laptop. You’ll likely need that police report to do this, but your insurance agent can help you with the specifics. Get the word out to friends, colleagues and people in the community by letting your Twitter followers and Facebook friends know your laptop is missing. 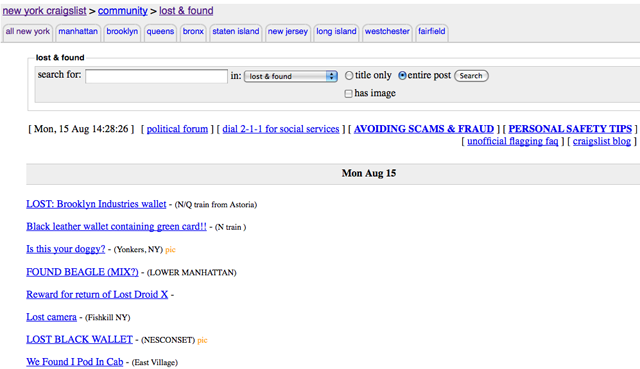 Post notices to community classifieds like Craigslist and other local directories. You may even want to put up fliers in your local grocery store or take out an ad in the local newspaper. If you can afford to do so, consider offering a reward for your laptop’s return. Offering a reward that’s similar to the laptop’s actual value may not save you a lot of money on replacing hardware, but it may help ensure that your data is returned safely. Once you’ve filed all the paperwork, got the word out to local businesses, tweeted about your lost laptop and placed an ad in the lost and found section on Craigslist, it may be tempting to sit back and let fate decide what happens next. Don’t give up, though — remain proactive. Check those lost and found ads yourself — but go beyond that, too. Many laptop thieves will attempt to sell the laptop online, because it’s harder to trace, so keep an eye on sites like eBay and Craigslist. If you were at a place of business when your laptop vanished, check in with them every few days. Keep an eye peeled to the local paper or community bulletin boards. Your laptop may turn up, and if it does, you need to be aware so you can claim it. By taking the steps above, you maximize the chances that your laptop will be returned to you, whether it was stolen or simply misplaced, but what about precautionary measures? Here are a few things you can do beforehand to help make sure your laptop finds its way home and that your data stays protected. Prey is a monitoring application that you can activate remotely should your laptop become missing or stolen. Prey then “calls home” to the Prey server (or your own server, depending upon configuration) once the laptop connects to the Internet. A Prey report gives the IP address, geolocation (complete with map) and even a screenshot from your webcam. You can also use Prey to lock your device to prevent others from accessing it. Personal data such as credit card, financial and medical records should always be encrypted — this is doubly true if your computer is portable. Encrypting your data will help to ensure that your identity doesn’t get stolen along with your laptop and helps protect you from any liability regarding the loss of sensitive work files. There are a number of good encryption tools out there, and many modern operating systems have encryption options baked in. 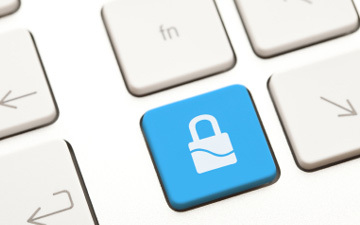 One popular, free encryption tool for Mac, Windows, and Linux platforms is TrueCrypt. Cross-platform and free, TrueCrypt is an affordable way to protect your personal files. Consider placing a prominently named text file on your desktop (e.g. REWARD_IF_FOUND.TXT) containing your contact information and any information about a reward, if you can afford to offer one. These details will make it easier for anyone who’s stumbled across your missing computer to return it to you without the need to go digging through personal data. It may even cause a remorseful thief to have a change of heart — especially if you can provide a way for the laptop to be returned anonymously. You should already be backing up your data on a regular basis to protect against hardware or software failure, but if you’re not, the possibility of a missing laptop is just one more motivator to do so. 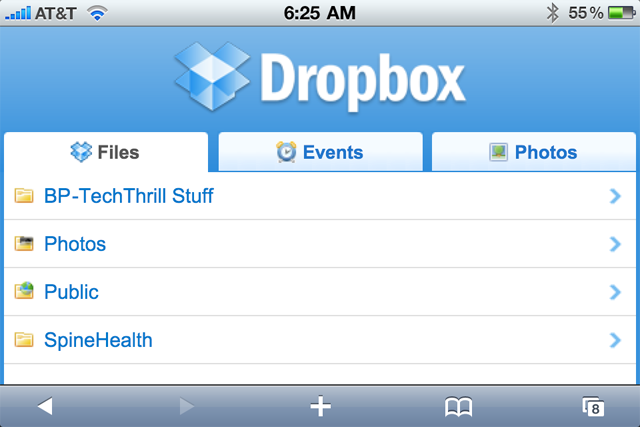 If you’re on the go with your laptop a lot, you may want to take advantage of online backup services like Dropbox. If you choose to backup to an external hard drive, don’t store the drive in your laptop bag! While this is fine for protecting you from technical issues, having your backup hard drive stolen along with your laptop doesn’t do you any good at all. If you’re serious about hanging onto your laptop, consider having your company or name and a piece of contact information such as your email address or phone number engraved into a prominent location on your laptop. This greatly decreases its resale value and makes it obvious who the laptop belongs to. Engraving is a reasonably good deterrent against theft and provides just one more way of letting the finder of your laptop know who to return it to. Of course the downside to this is that it makes the laptop harder for you to sell as well, unless you replace the engraved portion of the case.